Some believe it is the price of gas that is driving up the sales of Harley-Davidson motorcycles. Second quarter profits for the Milwaukee-based company were up by 30 percent worldwide. Harley-Davidson reported a net income of $247.3 million for the second quarter of 2012. That is way up from last year’s reported $190.6. But even though its sales were also up, they fell short of expectations. A year ago, Harley reported revenue of $1.34 billion for April, May and June. A year later, it reported sales of $1.57 billion. However, analysts predicted it would earn $1.64 billion. Since 2009, Harley-Davidson has been working to guide its long-term sales up by streamlining operations, cutting prices and expanding its market outside of the U.S. It has also worked to attract women, minority and younger buyers that do not look anything like the stereotyped burly, bearded biker that most associate with the motorcycle make. And Harley-Davidson is not the only motorcycle-maker enjoying greater revenue. Sales of motorcycles and ATVs have been up 16 percent at dealerships across the nation, according to a report by the financial data firm Sageworks. Analysts speculate that there are many reasons for the surge in the appeal of two-wheelers. First and foremost is the cost of gas, which, although it has gone down in recent months, still remains high. Motorcycles are far more fuel-efficient than cars and trucks. 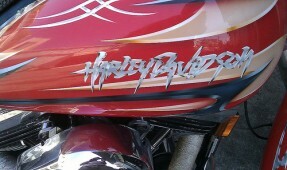 Even the Harley, the so-called “hog” gas-guzzler of the motorcycle world, gets 44 to 59 m.p.g. Another factor might be, as alluded to by Waddell, the unseasonably warm winter of 2012. Whatever the reason, however, the legendary motorcycle-maker is not taking it for granted and resting on its laurels.